Is your nonprofit missing out on opportunities or efficiencies because your data is too scattered? Integrating the tools that comprise your Constituent Relationship Management (CRM) system—which include the databases where you keep broadcast emails, donor data, case histories, event registrations, and other information—might help. But undertaking an integration project without first understanding the typical costs, benefits, and steps is a risky endeavor. Which CRM components are feasible to integrate. What your organization might gain through CRM integration. What an integration project is like—including typical approaches, steps, and resource requirements. Register below and submit a question for the panelists. We’ll also take additional audience questions during the live webinar. 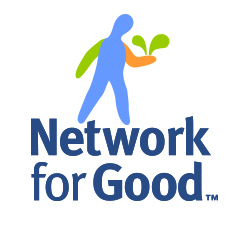 This webinar is free thanks to the generous sponsorship of Network for Good. such clients as Claremont McKenna College, Seattle Parks Foundation, the Chicago Architecture Foundation and various Habitat for Humanity chapters. Michael is the Director of Business Intelligence at the National Aquarium, where he leads the organization-wide data strategy, manages the CRM, and oversees a team of database administrators and developers. He is a certified Salesforce consultant, administrator, and platform application builder. Please register with the email address where you would like to receive the access code and dial-in information for the online seminar. Be sure to add training@idealware.org to your contacts to ensure meeting details do not get caught in your spam folder. Idealware, a 501(c)(3) nonprofit, is the authoritative source for independent, thoroughly-researched technology resources for the social sector. Our publications, assessments, and training can save you time and money by providing impartial guidance that gives you the knowledge and confidence you need to decide what’s best for your organization. How Often Should We Replace Computers?